Even though townhouse loft conversions have become extremely popular in the last couple of years, the process of transforming a common truss into an attic truss isn't as easy as it may sound. According to the Nationwide Building Society, adding a loft conversion to your home can increase the value of an average property by more than $54,000. Whether you're looking for additional living space or want to add more value to your house, converting your truss rafters is a great way to redesign your attic space to its full advantage. The trussed roof has a W-shaped support system placed into triangular sections that are designed to maximize roof strength. Usually chosen for low-cost materials and production fees, the trussed roof eliminates potential living space due to its large frame. On the other hand, attic trusses provide plenty of open attic space at the bottom by eliminating timbers in the center of the truss. The problem is that to convert the loft, the entire truss structure needs to be replaced. This can not only pose a danger to the stability of your roof but will sometimes require planning permission. Given that the W-shaped trusses support the loft floor and ceiling structure through their diagonal bracing, they don't allow for an open attic space under the roof. Since removing them is clearly not a safe option, it's essential to replace them with horizontal steel beams that provide sufficient structural strength for the entire construction. Attic conversions are now possible by replacing the truss rafters with A-shaped trusses or horizontal beams, which in return create additional space. The role of the horizontal beam is to tie the truss together and carry the load that would otherwise be sustained by the support and vertical timber, also known as the king post. In this way, you not only strengthen the roof, but you also maintain its triangular strength by pushing the triangle frame back toward the low end. Replacing the standard W-shaped trusses with steel beams across the length of the floor allows you to create a much larger and functional attic space for the house. The trussed rafters loft conversion process is a cost-effective method of adding more volume and value to your property, provided you're not in any violation of building codes in your area. 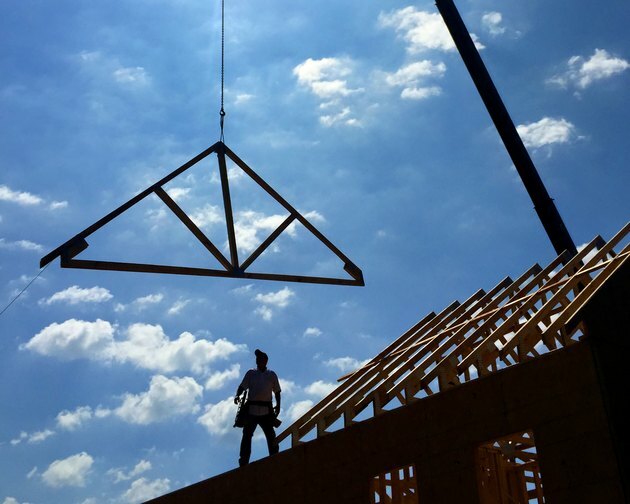 While you are on your search to learn all things related to trusses, you're likely going to come across some misconceptions between framing and trusses. One popular one is that framing is more cost-friendly than trusses. This statement is false. The exact houses have been built near one another at different times, using both methods. Each time one of the houses was built, trusses were the most budget-friendly option. Another is that you may find some sources indicating that stick framing is faster than trusses. Fortunately, trusses are faster and always have been during comparison of homes being built side by side.